We really appreciate you choosing to play in the NW Nations Grand Slam Tournament this weekend. While at the tournament, please do not hesitate to ask our staff if you need anything, we will be happy to assist you. Get game scores and schedule updates with the NW Nations Tourney Machine App! For all NW Nations Tournaments you can receive score and schedule updates via text or e-mail or best of all straight to your mobile device by downloading the tournament app. You can download the tournament mobile app by going directly to http://www.tourneymachine.com/R52321 on your mobile device. This includes players and spectators. Use of tobacco and tobacco products are prohibited. Sunflower seeds or other shelled nuts. Smoking or tobacco products of any kind. Please help us keep the dugouts and fields clean so that we can continue to use this park. Park Staff and Nations Staff will check dugouts during and after each game. Tournament Apparel and Souvenirs: NW Nations will have t-shirts, hoodies, beanies, caps, necklaces etc. available to purchase at the Hillsboro Stadium Complex. Cash or credit card accepted. -All 14u, 13u, 12u and 11u games will be played at the Hillsboro Stadium/ Gordon Faber Complex. -Attention 10u teams: Due to a Portland State University Softball game at the Gordon Faber Complex, some Saturday 10u games are scheduled for the Liberty High School softball field. The Liberty High School softball field is located to the North of the Liberty High School baseball fields. Both locations will have NW Nations Staff present. Directions to all fields can be found by scrolling to the bottom of this page. Weather: We will make every effort to play all tournament games, we want to play them as much as you do! If we were to experience weather that was determined by the field staff, tournament director or umpires to be severe enough to pose a player safety concern, we will delay games until conditions improve, cancel games or cancel the entire tournament if necessary. The ultimate decision on whether we can begin play or continue play is made by the parks department. 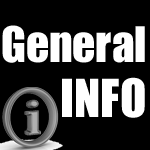 You can call the NW Nations Weather line for updates: (503) 799-5737. Please restrict the calls to one person per team so that everyone can get through if needed. We will also update the status on the game schedule page of this website. Please Click Here. and also through the tournament app. Initial updates are recorded at 6:45 AM each day, subsequent updates are added as needed. Unfortunately, those playing the first games of the day are at a disadvantage because we may not have the information on the field status updated before you must leave. Sometimes it is a "game time" decision. PLEASE CONSIDER ALL GAMES PLAYABLE UNLESS UPDATES INDICATE OTHERWISE. Weather related decisions will typically be made the day of the scheduled games. We will not make any decisions prior to the day of the scheduled games unless the park notifies us that the fields are shut down. Shelters: Their is limited shelter at the park for fans. The dugouts are covered. You are welcome and encouraged to bring your own tent or tarps, just try to be courteous in your placement not to block walking paths or the view of other fans. Coats/Jackets: Wearing whatever is necessary over the top of the uniform in order to be comfortable is fine with us, please work with the scorekeepers if a player does not have numbers showing. Heaters: No propane heaters are allowed in the complex, by order of the Fire Marshall. 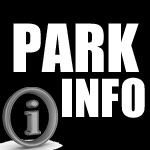 Parking: Parking is allowed in designated parking areas only. RV Parking: Sorry, overnight parking is not allowed at the park. Game Score Updates: We will be updating game scores throughout the day on the tournament app and on our website as games are completed. Please click here for updated game scores. Sunday Bracket Schedule: As seeding games are completed we will be placing teams into brackets for Sunday on the tournament app and on our website. You will be able to find the Sunday game times by clicking here. Scheduling: NW Nations makes every attempt to keep the tournament on schedule, on occasion due to circumstances this is not possible. Directors reserve the right to change any game time, playing field or dates or to make other changes necessary to conduct the tournament. When circumstances arise where we can start a game early throughout the day, teams must be prepared to start up to 30 minutes before their scheduled game time, this is to keep the tournament moving along at all times. NW Nations Baseball expects good sportsmanship from players, coaches and spectators before, during, and after all events. Team Check-in: Please check in prior to your first game and receive your tournament packet. -If your first game is on field 1, 2 or 3: please check-in at the blue tent near the playground. -If your first game is on fields 4, 5 or 6: please check in at the blue tent between field 5 and field 6. -If your first game is at the Stadium Field or Tonkin Field: Tournament staff will deliver your tournament packet to you at your dugout. Liberty High School: Please check in at the tournament tent. All 10u-13u games will be played on natural dirt and grass fields utilizing portable pitching mounds. The Stadium field is to the North, located within the football stadium. This field is full turf and will have a portable mound. (No metal cleats). Birth Certificates: Please make sure that you have copies of birth certificates for all players with you at the fields. Dugouts are not assigned; the first team to arrive has choice of dugouts. Warm-ups: The park will open at 7:00 AM both Saturday and Sunday. Teams playing the first games of the day can warm up on the outfield of the field that they will be playing on. Do not plan on warming up on the fields during the day as we will make every effort to stay on schedule. No taking infield allowed for tournament play. Line-Up Cards: Each team is expected to present a line-up card to the plate umpire at the pregame conference. Metal Cleats: 9u, 10u, 11u, 12u Divisions: No metal cleats are allowed. 13u Division: Metal cleats are allowed. Metal cleats are not allowed on portable mounds. Please have suitable shoes available for any player that may pitch. 14u Division: All games are being played on artificial turf fields. Metal cleats are not allowed on the artificial turf fields. Game Balls: NW Nations will be supplying all game balls. 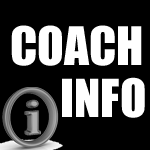 Pitching Charts: Pitching Charts will be in your coach packet that you will receive at check-in. Please keep track of how many outs each of your pitchers throws and turn your chart in at the end of each day. Post Game: At the end of your game please be considerate and vacate your dugout promptly. Team meetings need to take place outside the fences! Nations Bat Rules: Umpires and tournament staff will be checking bats for compliance prior to games throughout the tournament. 9u-13u Age Divisions: No bat size restrictions. All Bats must be certified by the manufacturer to meet a Bat Performance Factor of 1.15 or less and must bear the BPF 1.15 stamp or new USA Bat stamp. All (-3) bats must be BBCOR approved and bear the BBCOR stamp. 14u Division: Only (-3) and (-5 ) bats are allowed. All (-5) bats must bear the BPF 1.15 stamp or the new USA Bat stamp. All (-3) bats must be BBCOR approved and bear the BBCOR stamp. Tournament Rules: Please click on the "Tournament Rules" box near the bottom left for the tournament rules. Concessions will be available at the Hillsboro Stadium complex. No concessions will be available at Liberty High School. You are welcome to bring food and non-alcoholic drinks into the park. NW Nations does not charge entrance fees at our tournaments, come out and watch! Well behaved and attended dogs on a leash are welcome. Weekend Events, Life Long Memories! Hillsboro Stadium/ Gordon Faber Complex.